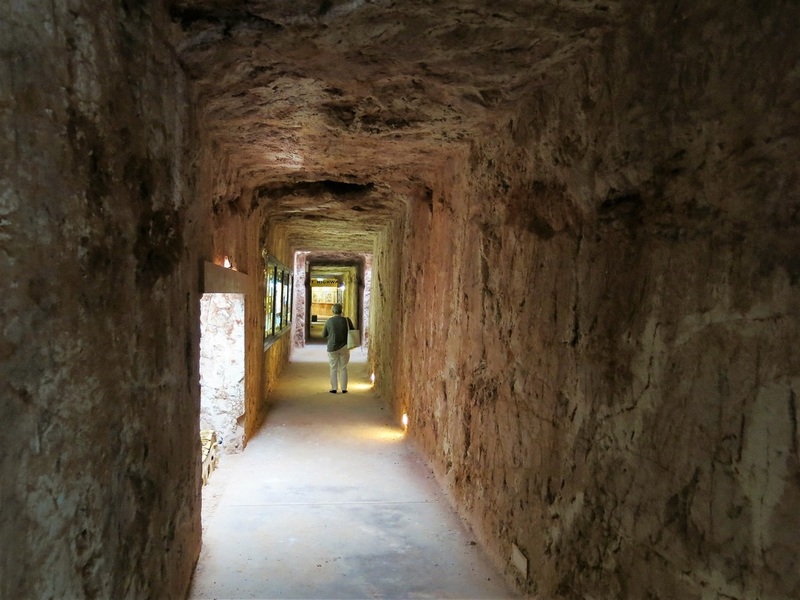 Coober Pedy is one of those places that has a mystical attraction for many Australians. Mention the very name and your mind drifts into a dream of a frontier “knock ‘em down and drag ‘em out” kind of place straight out of the Wild West. I had visions of a rollicking saloon with desert beaten bearded faces bragging about their latest find of the legendary Black Opals. Literature and web sites promised the real outback, with characters galore and a way of life far removed from city life. I soon found I was one of literally thousands of people wandering the streets looking for a genuine miner. However it proved a big disappointment in this regard. People in Coober Pedy tend to keep very much to themselves. They live underground mostly and you rarely see anyone as you drive around the many kilometres of mullock heaps and abandoned mining junk. 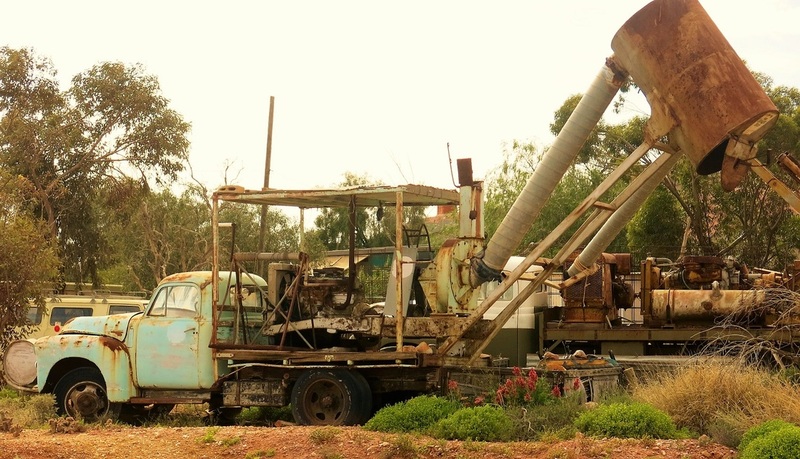 No-one in Coober Pedy ever throws anything away; they just park it out the front. The desert air ensures that it stays in good shape. I finally decided I’d meet some locals at the IGA supermarket. The girl stocking the aisles told me you could tell who was doing well chasing opals by the size of their shopping trolley haul. Finally a genuine character appeared outside the supermarket pushing a trolley load of goodies. He had a Kenny Rodgers mountain man beard, a battered hat and a limited supply of teeth. So my character quest failed. Even the local tourist office was a dismal failure, never responding with a phone call to my requests for assistance in my visit. 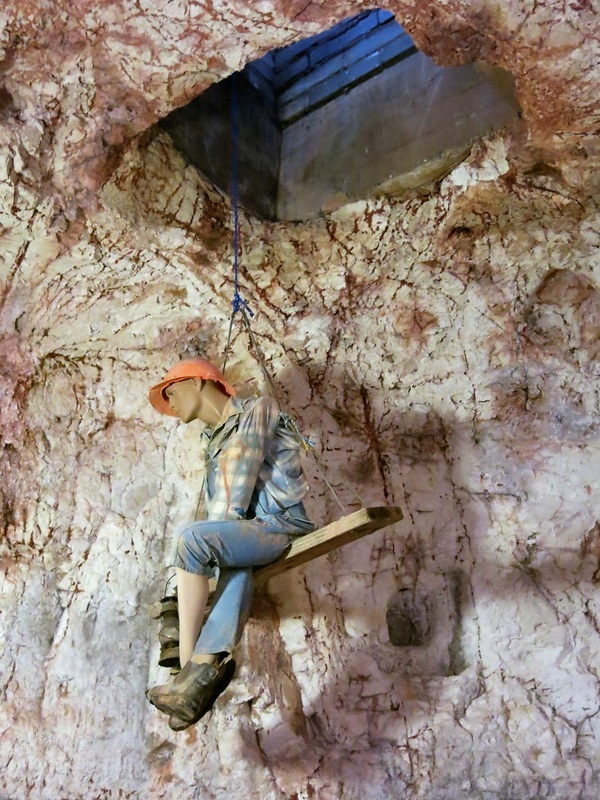 There may be much more to be discovered in Coober Pedy, but they have decided to keep it a secret from us all. This is not unusual in South Australia or the Northern Territory where public relations managers and tourist offices have much more to do than worry about pesky media people. 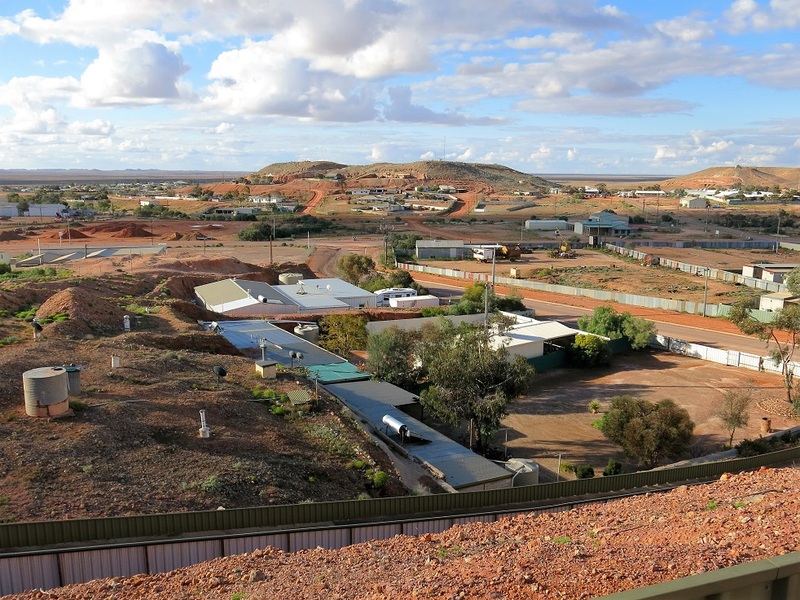 Having said all that, Coober Pedy has a lot to offer and you certainly need at least two days there. The underground shopping centre, bar and opal mining display is superb. The opals, which have lain dormant just underground for up to 70 million years, look amazing when you see them mounted in gold and presented as quality jewellery. 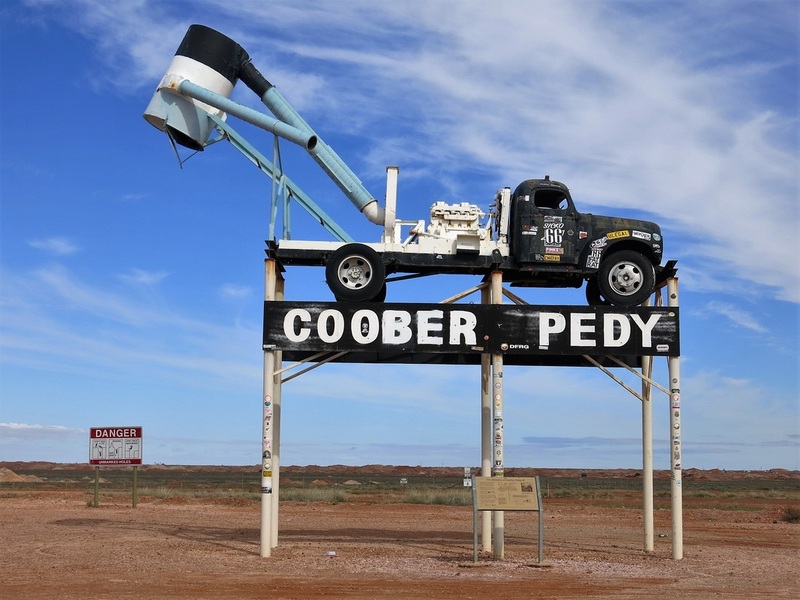 This tends to send lady visitors to Coober Pedy into a buying frenzy, while worried husbands and partners pace and down clutching their wallets. I soon realised that you have to put your hand in your pocket for at least a small amount in order to escape unscathed for the remainder of your trip. Along with most visitors, I stayed at the Opal Inn resort complex which has a hotel, a quality motel and a campground. Ah, the Opal Inn bar! This is the place where I will finally track down a few characters. I walked inside ready for a rowdy session with the locals and my shoulders slumped. The bar was as modern as any you would see in the city and the only people around were seniors dressed in baseball caps and those ridiculous “mock Akubra’s” and Crocodile Dundee hats made out of fake leather and plastic crocodile teeth. The adjacent restaurant was offering a special on Indian satay chicken which was considered to be the best meal in Coober Pedy. And it was superb. Coober Pedy is a photographer’s delight and the views of the more than 100 km of mullock heaps and orange red roads are unique anywhere in the world. However may I suggest you go there to discover the exciting world of opals, not to find an Aussie version of the old Wild West. And make sure your credit card is well charged.